Nupchen Sangyé Yeshé (Tib. གནུབས་ཆེན་སངས་རྒྱས་ཡེ་ཤེས་, Wyl. 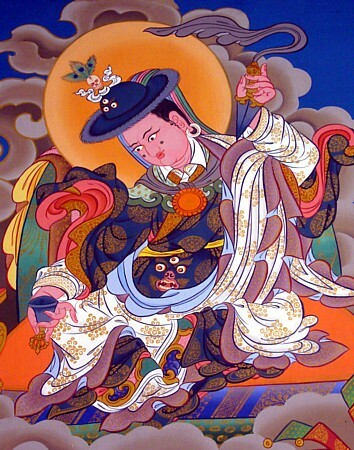 gnubs chen sangs rgyas ye shes) — one of the twenty-five disciples of Guru Rinpoche. He is said to have lived for 113 (or 130?) years. He brought the Anuyoga teachings to Tibet and translated many tantras. He also was a student of Vimalamitra and many other great masters. Legend has that it was due to his miraculous powers that King Langdarma spared the lay tantrikas when persecuting Buddhist followers in Tibet. English translation: The Lamp for the Eye of Contemplation, in The Lamp for the Eye of Contemplation, the bSam-gtan mig-sgron by gNubs-chen Sangs-rgyas ye-shes : hermeneutical study with English translation and critical edition of a Tibetan Buddhist text on contemplation, thesis by Dylan Esler. This page was last edited on 11 October 2018, at 09:48.